Join us at the Feel Good Cafe On 14th March, 12-3.30pm for an afternoon of card crafting. Don’t go buying a generic Mother’s Day card come and learn how to make your own professional cards with Stampin’ Up demonstrator, Alex Spence. 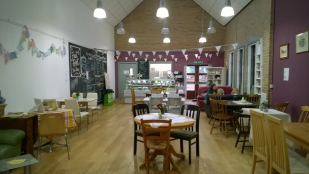 A wonderful relaxing afternoon complimented with afternoon tea in our pretty cafe. This entry was posted in Uncategorized and tagged afternoon tea, card crafting, Stampin' Up demonstrator. Bookmark the permalink.